So check out the video and please be sure to leave your own tips in the comments. 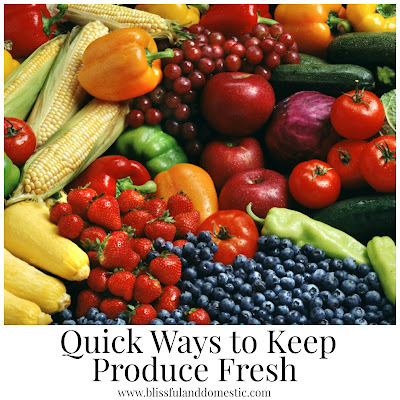 I know there are tons of ways that keep our produce fresh, so lets share and encourage one another. Have a fabulous day friends!! I love fruit in the winter; but it's out of season here in Michigan and expensive; so I try to buy it in season locally and freeze as much of it as I can for winter use. I live in a small town that in surrounded by rural areas where produce abounds; and we have a great Farmer's Market.